Picasa is a quick and handy picture viewer and organiser for all the photos on your PC. Picasa was discontinued by Google in 2016 when they chose to focus exclusively on the cloud. Even though it was discontinued, Picasa is still my preferred software for viewing, searching and managing photos. 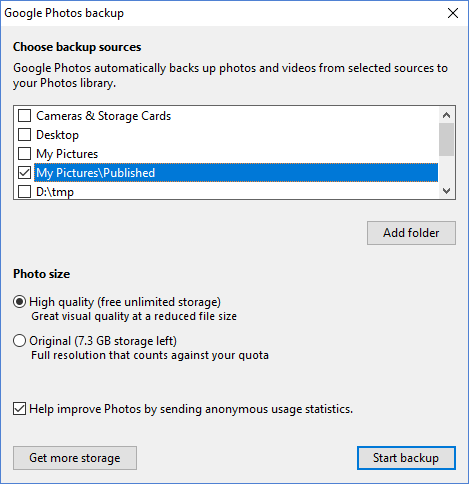 This post will explain how you can still use Picasa, and specifically integrate with the new Google Photos cloud storage. In short Picasa is still useful. Furthermore by integrating with Google Photos, you get great cloud hosting for backup and sharing. The Picasa photo transfer utility can only uploads images to Google Photos at a maximum resolution of 2048*2048 when using the free Google Photos storage. That said, Picasa made photo uploads very easy to use, and quite powerful. Google now provides an alternate PC utility (Google Photos Backup) for uploading to Google Photos. Google Photos Backup has a few configuration options that allow it to fit in with your workflow. However it is a bit dumb when compared to the Picasa photo uploader. Take advantage of the "High Quality" (16 megapixel) free Google Photos storage. Easily upload photos and create albums online. Option to archive some photos in the "Original Quality". Upload images again where you make further edits. This is my workflow for processing photos from my DSLR. Browse and organise the photos in Picasa. Move images into/between folders as necessary. Perform raw conversion in Capture One Pro. Optionally perform additional processing in software like Hugin or Photoshop. Perform geo-tagging of photos using Picasa when necessary. Upload photos to Google Photos. Organise photos into albums and share as required. It's the last two steps that are the focus of this post. I use the Google Photos Backup utility, though with a specific configuration that suits my workflow. 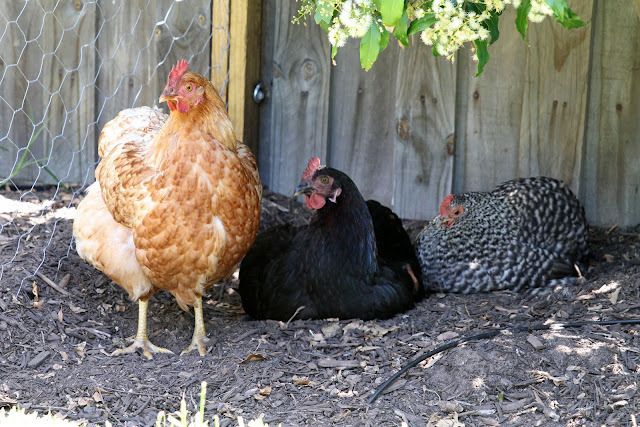 When installing Google Photos Backup, you're asked for the backup sources. By default it will attempt to upload everything you've got. I don't use any of the default options, instead choosing a specific folder - which I'll refer to as my Published photos. The folder can be located anywhere - under Pictures, on your NAS, etc. Create a new folder, then add it as a backup source, as shown here. Click Start backup to save your settings. There are a few more options available. 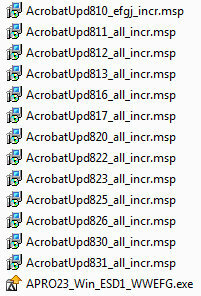 Check it out, particularly if you import from memory cards, or you wish to upload your raw files. 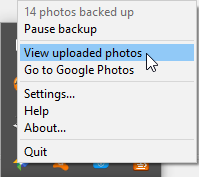 At this point Google Photos Backup is configured, but we haven't given it any photos to upload. From Picasa, or within the File Manager, simply move or copy files into your Published folder. I suggest you do so one project/album at a time, and specifically create a folder structure matching how you will organise your albums online. 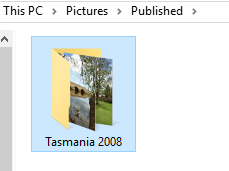 For example, I've added my first album - Tasmania 2008. Once you add the photos, Google Photos Backup will start uploading. You can see progress via the task bar icon, and will be notified when complete. Continue with Creating or adding to albums before you upload another project/album. It's best if you put your photos into albums shortly after uploading. 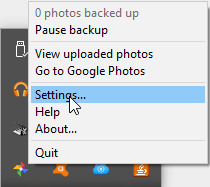 Click on the Google Photos Backup icon on the task bar, and choose View uploaded photos. Select all the photos you wish to add to an album. Typically you can do this by clicking on the check box that appears when you hover your mouse over Added Today. Then click to Add or Create a new Album. At this point you're finished. You can check the image quality, choose an album cover image, and share the photos with your friends and family. TIP: The same photos may be present in multiple albums. For example you may have a selection of landscape photos you make public, then a private album also containing the family photos too. This procedure is necessary after you have edited it on your PC (e.g. cropping, geo-tagging or adding a description/keywords) and wish to synchronise the changes with Google Photos. TIP: This post explains how to geo-tag raw photos using Picasa and Exiftool. Firstly keep in mind that most edits within Picasa are non-destructive, in that they do not actually modify the underlying image file. 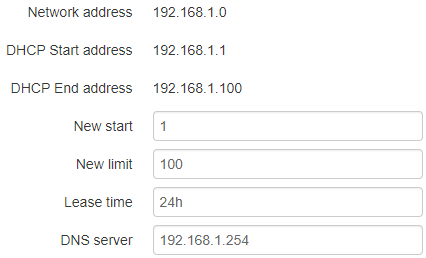 For example, if you see the Undo button, then it means that the changes have not been committed yet. To commit the changes, either use File/Save or Save-As. In the Google Photos web interface, select the photo(s), then choose Move to Bin. If you skip this step, then you'll have two copies of the photo after uploading again. Continue with the following instructions for Re-uploading deleted photos. If you delete a photo from the Google Photos cloud storage, then Google Photos Backup will not automatically re-upload the photo. If you intend to upload again, then you need to force it to scan your Google Photos cloud storage and add anything that is missing. 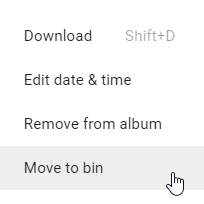 Go into the Google Photos Backup settings, and deselect your backup folder then click OK.
Then go back into the settings, and add the same folder back again. Click OK and it will now rescan the entire folder looking for any new images. You will be notified of any new files found. The photo(s) will be at the top of the list in your recently uploaded photos. Simply add it back into the required album. Since my workflow specifically configures the Google Photos Backup utility to upload High Quality images, I use the web interface to archive photos. In the Google Photos settings, set the upload size to Original. This will prevent a reduction in resolution, or a reduction in picture quality. Then view the Album where you want to place the images, and simply drag and drop the images onto the browser window. Alternatively click the upload button. The quality settings are maintained separately between the web interface, the PC Google Photos Backup utility, and the Google Photos smartphone app. TIP: If you later decide that you have insufficient Google storage space, there is an option in the settings to Recover Storage. This option will cause your photos and videos to be compressed to "High quality" and therefore not use any storage space.